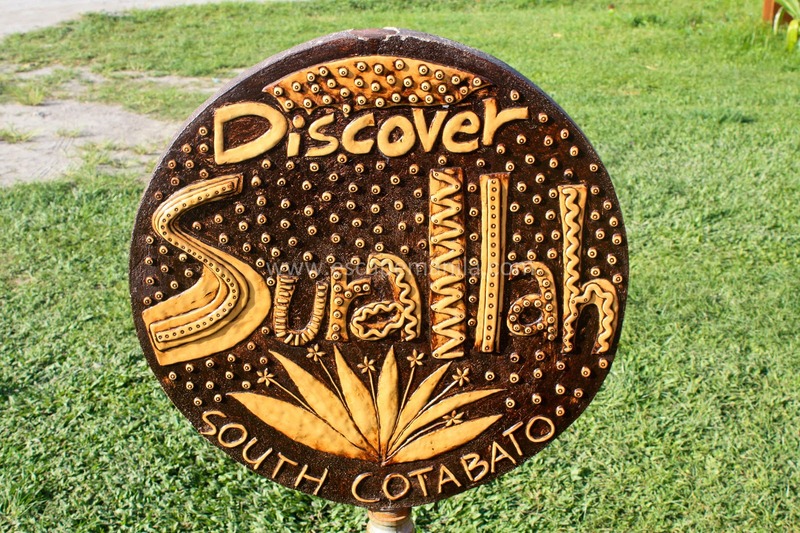 By Glen Santillan – I planned of staying overnight in General Santos City and was thinking of going to Lake Sebu early in the morning. When I arrived in Gen San from Glan, I suddenly fell ill so I was thinking of going back to Davao and just take some rest. So I went to the terminal but instead of taking the bus going to Davao, my feet brought me to the bus bound for Marbel, South Cotabato.So there, without a plan I took the bus and went to Marbel. The trip to Marbel from Gensan took me around an hour. When I was in the bus I started to think what to do or where to stay since it was already late. I need to have a plan! When I reached Marbel, I checked my wallet and realized that I was running out of cash. I asked around if there are ATMs nearby and the lady told me that the nearest is at KCC mall and I need to take a tricycle to get there. I was hesitant of going there just to withdraw some cash and I thought of going to Surallah instead and hope that the town has ATMs. I was feeling okay since I still have almost about one thousand pesos and I brought USD with me and I’m pretty sure that there are exchange centers in almost every town so if in case there’s no ATM I have a second option. When I was in the bus, I asked the lady beside me if there are ATMs in town, she said there are plenty so I felt relieved. I also did not have any idea where to stay and she pointed me to Emily’s Pension house. I was surprised that the town has a number of banks, ATMs and establishment. 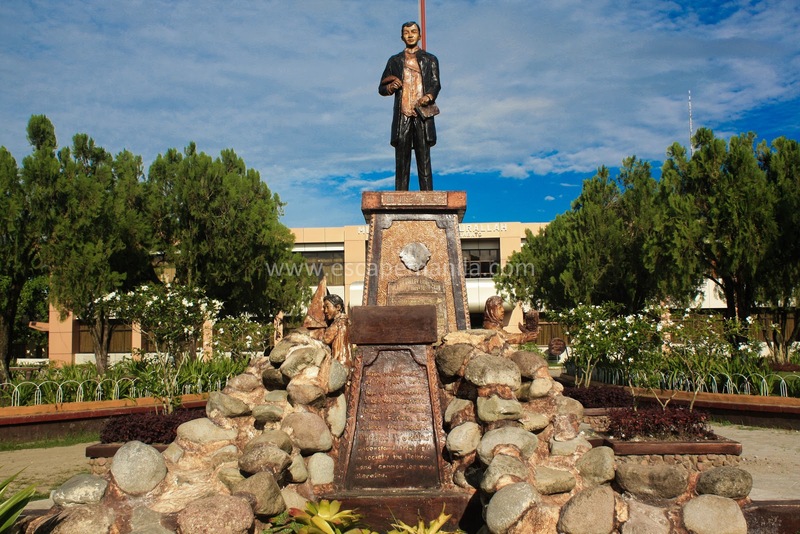 I was actually thinking that the town was pretty much like Glan, Sarangani but it was far more developed. Emily’s Pension House is located near the market and the plaza, so after withdrawing cash, I checked in and took a little rest. 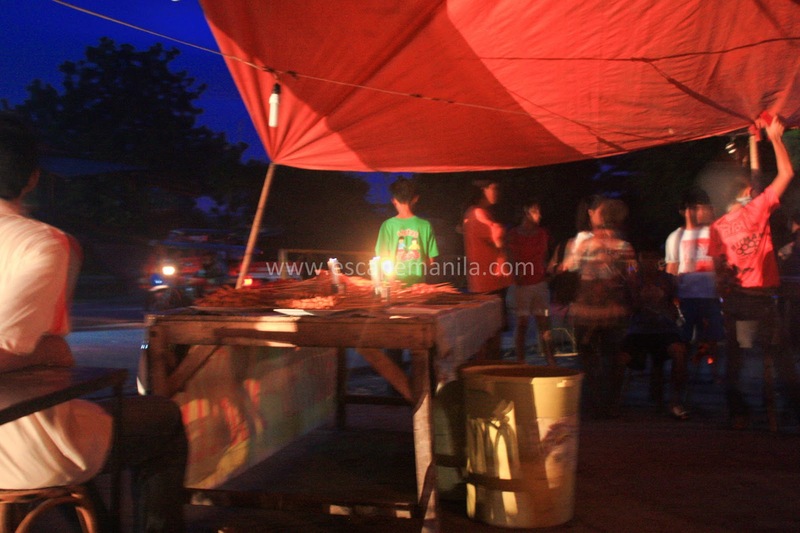 After a while, I went to the market and asked around where can I buy some barbeque and he pointed me to the plaza. It was already dark and just after I ordered my meal all the lights suddenly disappeared. There was a blackout, the place was so dark, I could not see the people around me. I think blackouts always occur in this place so people were ready with their emergency lights and candles.Seconds after, the place was well lighted again, this time with emergency lights and candles. Took my dinner and went back to the Inn and rest. I woke up early in the morning, checked out from the pension house and went to the plaza to take some photos. 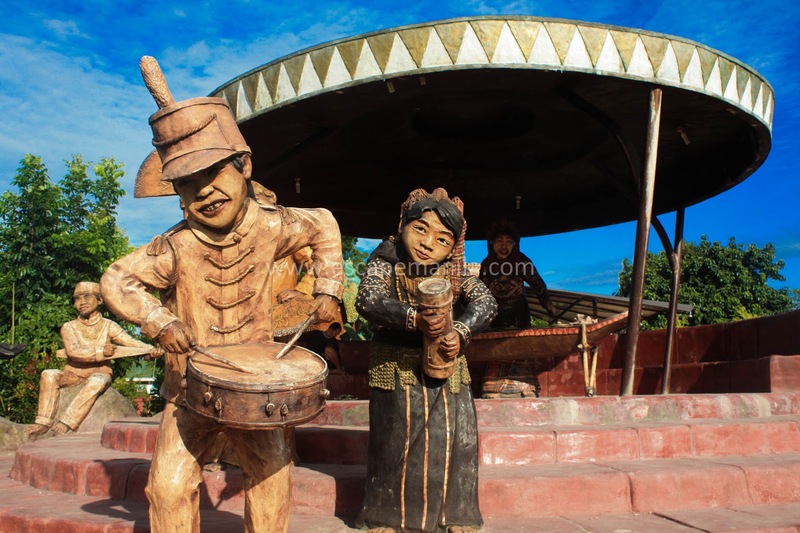 There are quite a lot of interesting sculptures in the roundabout and the municipal plaza. 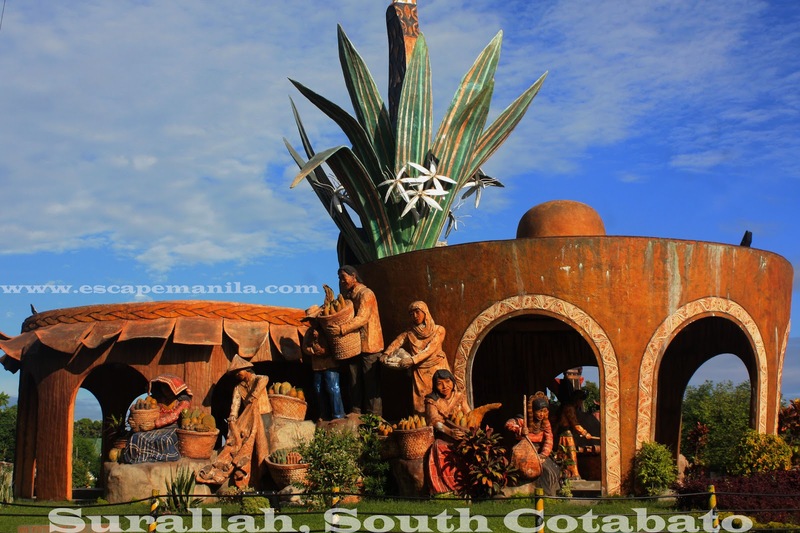 These work of art depict the lives of the tri-people (T’bolis, Muslims and Christians) of South Cotabato. 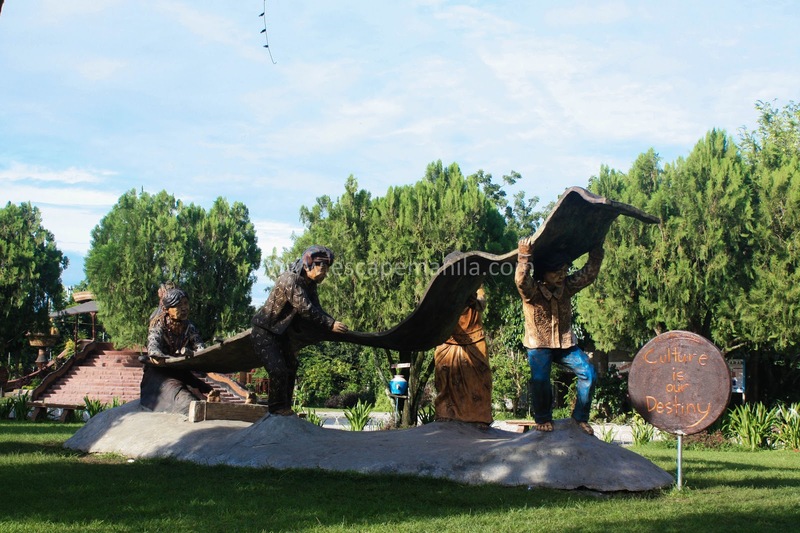 This landmark is a work of art of Kublai Milan. From General Santos, take a bus going to Marbel (Koronadal City). From Marbel you can either take a van or a bus going to Surallah. 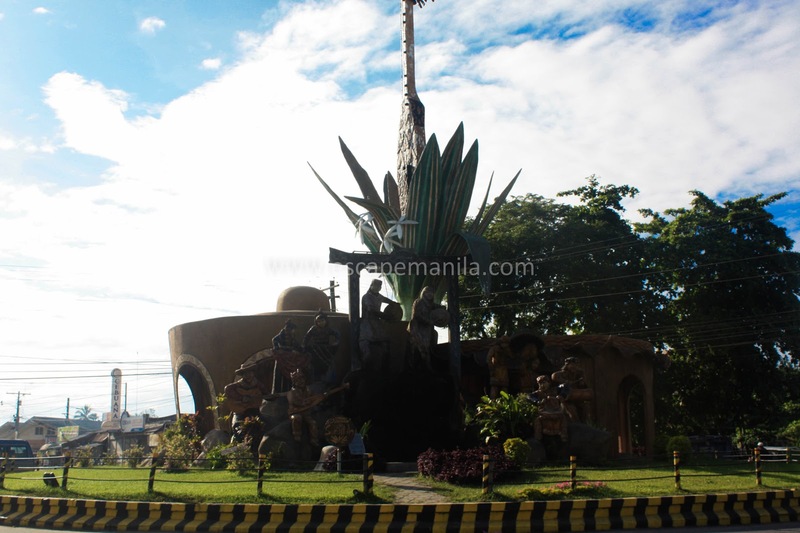 that kublai milan landmark art is a bit eccentric-looking which is nice to the eyes because most Filipinos are accustomed to a few typical proportions of statues that are nothing like that.